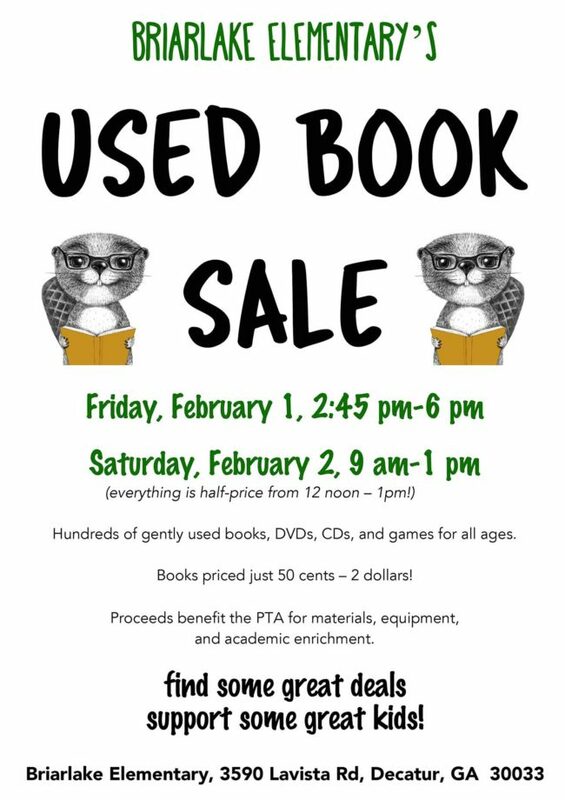 The annual Briarlake Elementary Used Book Sale is free and open to the public on Friday, February 1st, from 2:45 pm-6 pm, and Saturday, February 2nd, from 9 am-1 pm. We have a huge selection of books of all types, for adults and children, plus DVDs, CDs, games, and other media. Prices range from 50 cents – $2, and everything is half-off from 12 noon-1 pm on Saturday! All proceeds from the sale go to Briarlake’s PTA for materials, equipment, and academic enrichment. Come find some great deals while supporting a wonderful public school!